Zixi Edge Points (ZEP) are made up of Zixi Feeder and Zixi Receiver providing both the transmit point to the Zixi Internet video transport architecture and the consumption point. 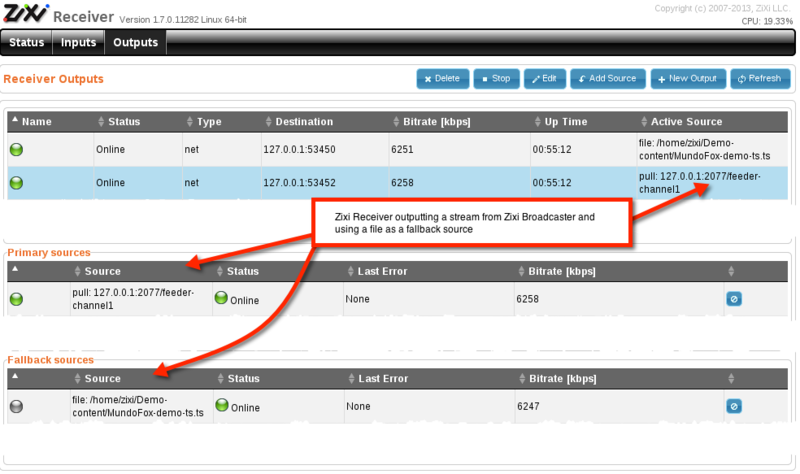 Zixi Receiver, like Zixi Feeder, is a lightweight software tool that runs on standard PC hardware or can be embedded into a wide variety of professional decoders and mobile devices as part of the growing Zixi EcoZystem. Zixi’s Transport Stream architecture deploys monitoring, control, and intelligence along the entire transmission path. Zixi Receiver,when combined with Zixi Feeder (Zixi-Link or Zixi -Pipe) is uniquely designed to deliver the quality and reliability that enables professional broadcasters, sports networks, and service providers to adopt IP networks for primary contribution, ENG backhaul, satellite backup, disaster recovery, OTT and broadcast distribution.